At SSP this week I met with someone who told me that they were missing their annual Hawaii holiday in Wailea this year because of circumstances beyond their control. Here's what it looked like just after we arrived there in 1977. These images were taken several months apart from our living room window. 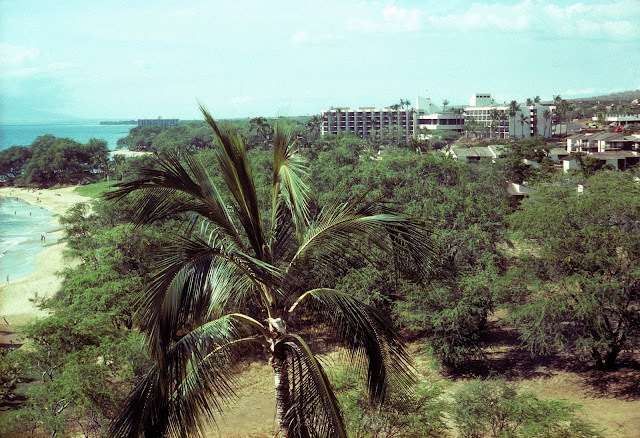 The large white building was at the time a Westin Hotel and had been the first hotel in Wailea (1975). No chain could ever make it profitable. It had a disco but no dancers. The land in the foreground was Kiave (Kee ah Vey) scrub land but by 1980 it was covered with condos. The beach didn't fare much better; In 1980 we were hit with a hurricane and a lot of the sand was washed away for years thereafter. Great photo, but there's SO much more to the Wailea story! I moved to Maui in 1977 as well and later worked at the Inter-Continental Wailea Resort that would end up taking much of that vacant land in your photos. 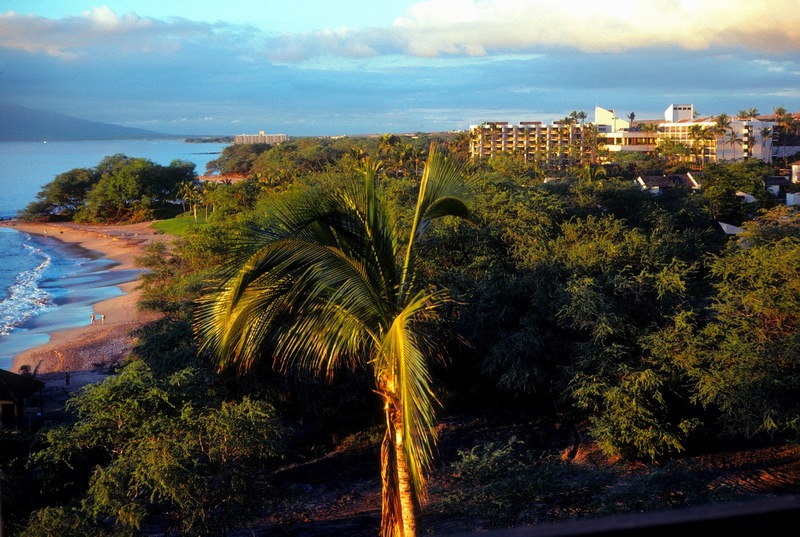 While I will admit to missing the days when we had so much more open space on the Island, of any commercial zone here, Wailea is the best planned and one of the most beautiful places to enjoy a visit to Maui.